The Tedinho low shoes were provided by Chaco for review purposes. The Tedinho series of shoes is available in men’s and woman’s waterproof boot and low shoe. The men’s’ low is available in 2 colors, Tarvia and Black. The woman’s low is available in Tarvia, Black, and Bungee. The available sizes for men’s low shoe are 7 to 12 in half sizes and 13,14, and 15. The available sizes for women’s low shoe are 5 to 11 in half sizes and 12. These shoes could easily pass for casual shoes except for the pull loop at the heel of the shoe. The pull loop is so handy that I am thinking I would like it on all my shoes/boots. I like the classical look and streamline design of the Tedinho low shoe. The Tedinho low shoes have a leather exterior with a pull tab at the heel and on the tongue. 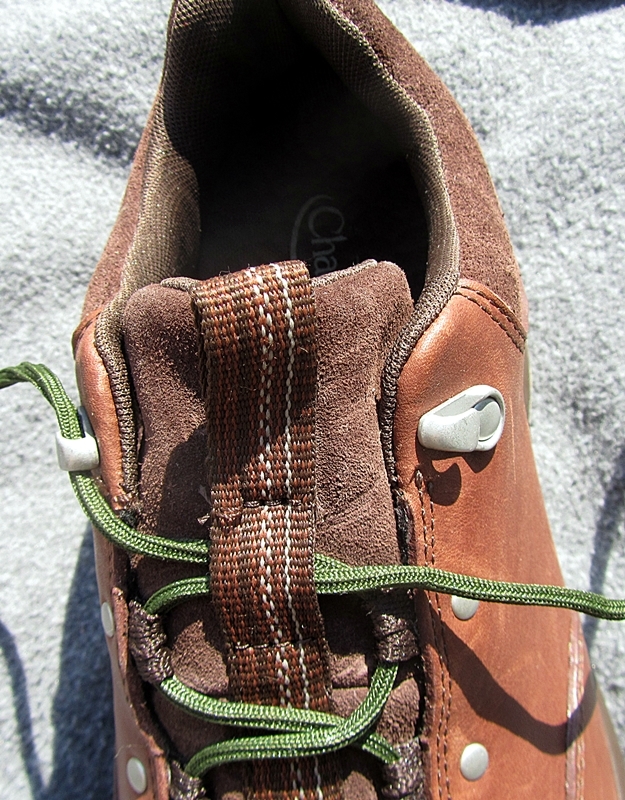 The lacing system consists of 4 sets of rivets. 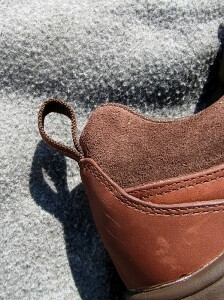 Three of the sets are flat to the surface of the shoe and hold a fabric loop for the laces to pass through. 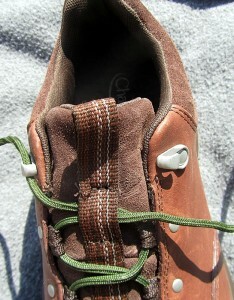 The fourth set is at the top and is an open lug for quick and easy lacing and unlacing. The outside loop closest to the toe is colored red while the remaining loops are brown. This is a quick way to identify the left shoe from the right. The Chaco label is visible on the outside heel and bottom of the shoe. What I found interesting about these insoles is how they vary in thickness from the toe end to the heel end. They are thin at the toes and get thicker going toward the heel and are quite thick where the arch of the foot is located. The heel part is thinner but thicker than the toe end. 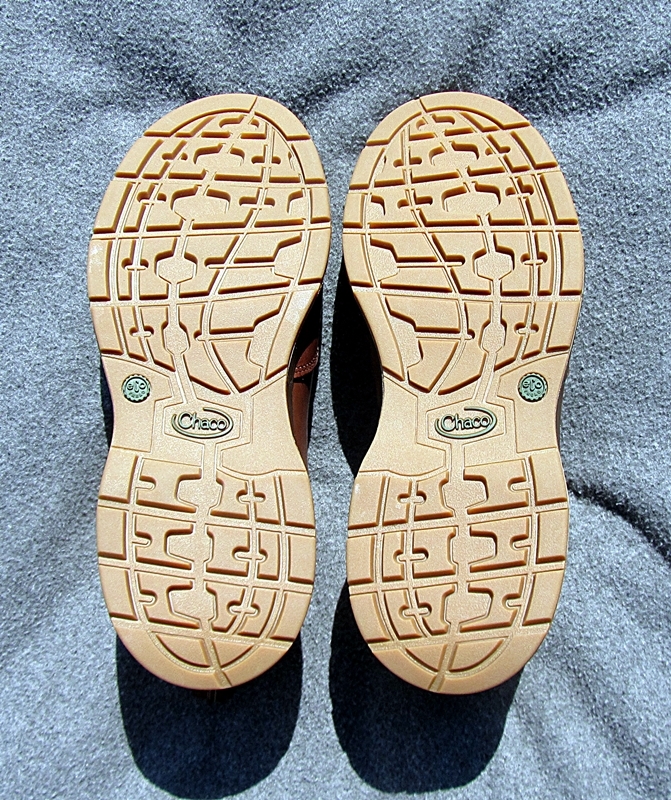 The bottom of the innersole has a tread design. The tread depth varies with the thickness of the innersole. In addition, there is a short video on the web site that I found very interesting and informative. The Tedinho low shoes go on quick and easy. The arch is slightly higher than most shoes I have been wearing. Over the years,my arches have gotten lower and my foot size has increased. I can feel the cushioning effect of the innersole. Since at this time the laces tend to untie, I will resort to a more complex knot. The tops of my feet are sensitive enough for me to feel the rivets holding the lacing loops; however, there is enough cushioning material between the rivets and my foot that I do not feel them. I am pleased with the fit, comfort, and usability of these shoes. In this period I was able to use the Tedinho shoes a lot more than I expected. Aside from daily use, I was on a long day hike and a two-day backpack. This was a 4-5 hour hike on a sunny, cool day with very little wind. It had not rained much for some time so the trails were dry. We picked trails that would be hilly with short stretches of relatively flat areas. The rocky areas are mostly at the top of the hills we climbed. We were keeping in condition for an upcoming backpack. In addition to that, I was making sure I would not have any problems with my Tedinho shoes on the upcoming backpack. The trail conditions are similar to the ones on the AT Trail in New Hampshire but on a smaller scale. At the end of this hike I was convinced that I probably would not have problems on a backpack. The major difference is that I would be carrying a heavier load on the backpack. 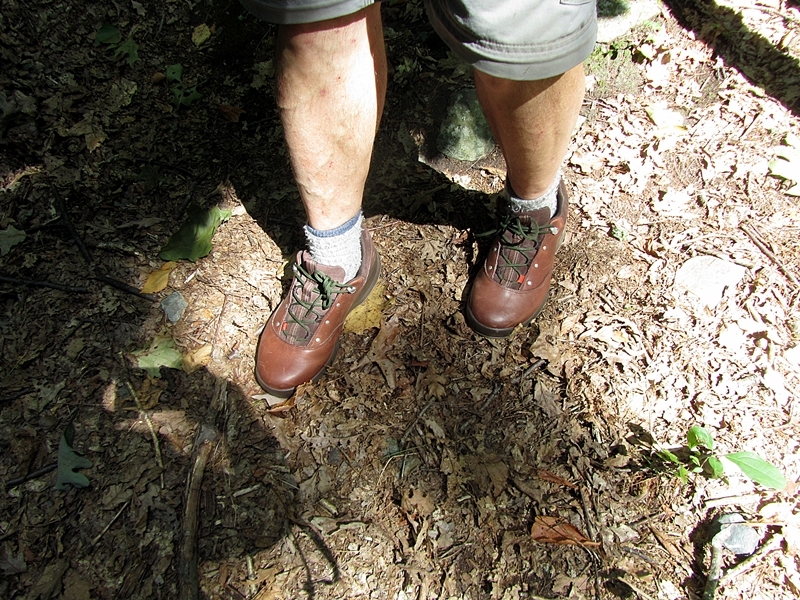 I had no problem with slipping, but did have to stop and retie my shoes a few times. 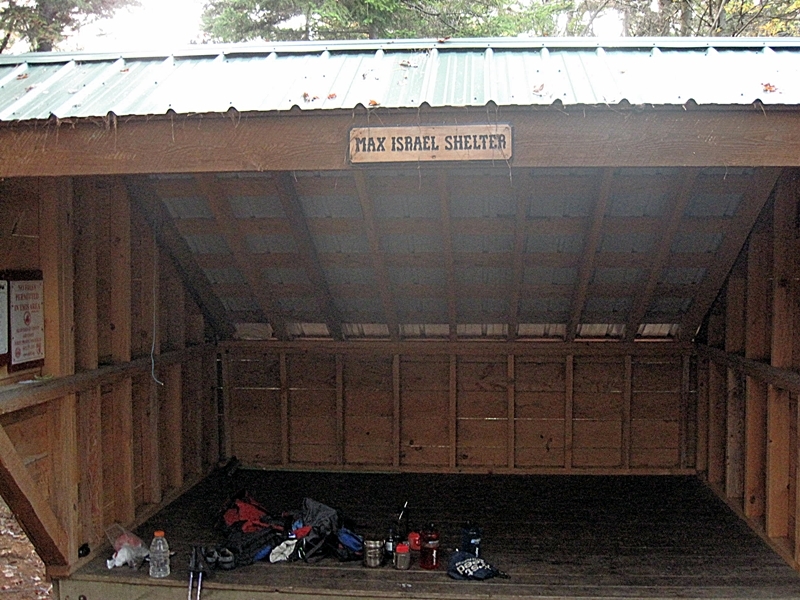 This was a two day backpack to the Max Israel Shelter, which is on the Monadnock Sunapee Greenway Trail. 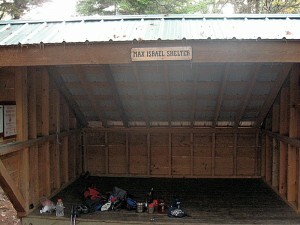 Since the two times I had backpacked there before, a shelter was added to the tent platform. It was a 5 hour 7 mile hike to the shelter. It was mostly an ascent till we reached the summit on Mt Lovewell. There was a descent and then a steep ascend to Max Israel shelter. The forest was mostly hard wood and the foliage was near peak conditions. This meant that there were a lot of leaves on the ground. This always makes for potentially slippery conditions. It had rained during the week and that did not help either. My right foot slid a few times but I did not fall. My hiking friend did fall once. These shoes have a shallow tread and this provides more surface area to make contact with the ground and I think this helps with traction. 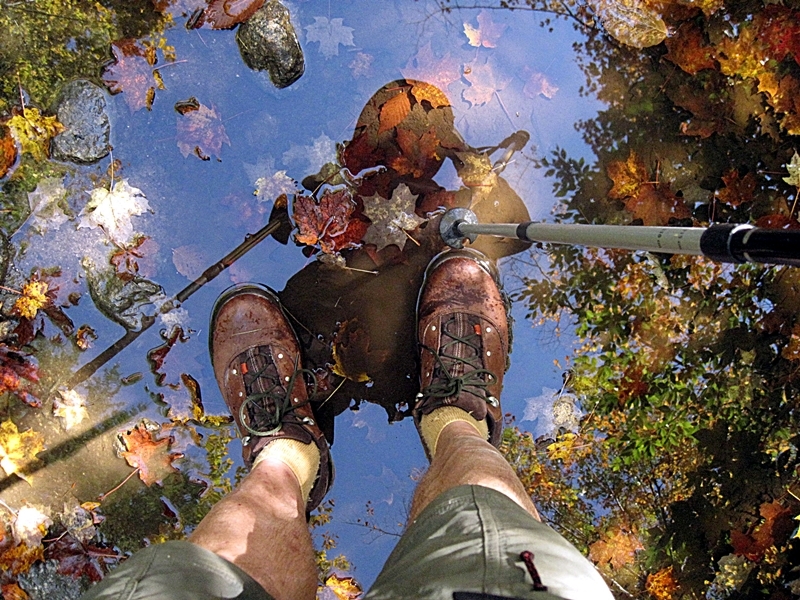 There were a few places on the trail where I walked through puddles and I stood in one to take a picture. My feet did not get wet. After pitching our tents we went for water. We do this as a team, K operates the filter as it is her filter and I hold the inlet tube in a good place to get maximum throughput. I was standing in water about 5 minutes and did not feel any water on my feet. 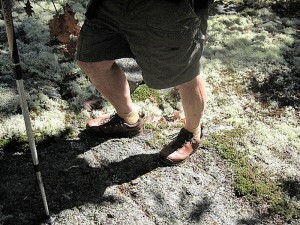 I had good traction on all the large mostly smooth rocks I walked on. A lot of these rocks were moss covered and my traction was very good. I have used the Tedinho shoes on a ladder to do scraping and painting with good results. If I were doing this kind of work a lot, I would want a heavier boot. At the gym, I used them on all the cardio equipment I use, with excellent results. I have gone to seminars, doctors appointments, and shopping with excellent results. When we had a lot of rain and I had to go shopping, it was nice to know I did not have to be concerned about stepping in puddles and getting my feet wet. When I know I am going to get my feet wet such as on a hike or backpack, I can prepare myself beforehand. It’s when I use shoes locally and don’t want to wear shoes especially for water conditions that I am not happy about having wet feet. I mentioned in my previous report that I had some problem with my laces coming untied. My laces have become untied less in this period. The laces did become untied more when I was going down hill when I especially did not want loose laces. I think it happens more going down hill because there is more pressure toward the front of the shoe. In my past experience, loose laces going down hill leads to blood blisters under my nails. I started keeping my laces tighter and have not had that kind of blister for over two years. 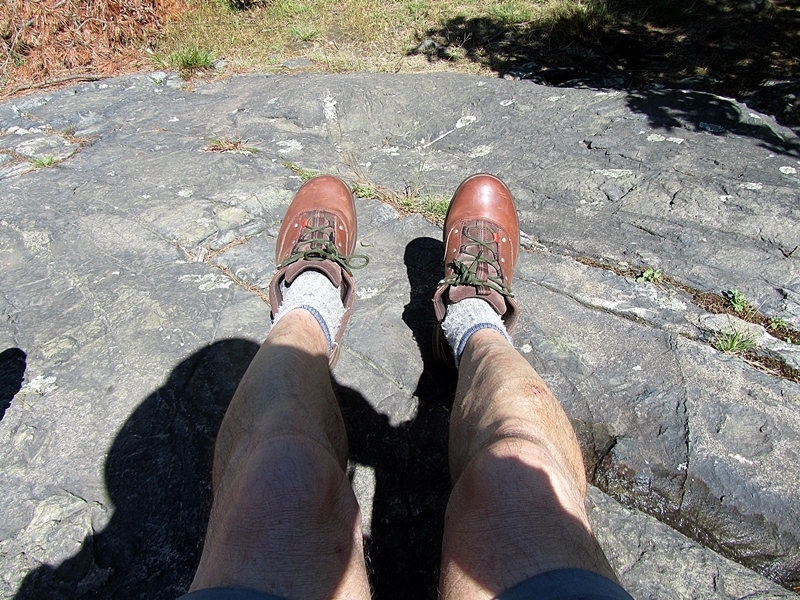 I am very pleased with the traction of these shoes on almost any surface on which I have hiked. The slightly extra weight of this shoe has given me more comfort especially when wearing a backpack. The only slight problem I have had is with the laces. That problem may go away as the surface of the laces become worn and have more friction. 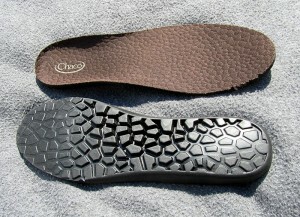 Please check back in about a month when I will have more to say about the Chaco Tedinho shoes. If I had to live with just one pair of shoes, I can’t think of a better shoe than the Tedinho low cut shoe. I have found the Tedinho to be a multi purpose shoe and have been wearing them almost every day. I wore these shoes to an awards lunch, an awards dinner, and to at least 3 seminars. They look great and feel good especially when sitting for long periods of time. I go to the gym almost daily and have been using these shoes for all these trips. I do a combination of mat exercises, weights, and cardio usually on an Elliptical machine. The comfort is second to none. Most of the time I don’t know they are on my feet. The gym is about the only place I wear thin cotton socks, otherwise I am wearing medium weight wool socks. For my use at the gym, I find that cotton socks are as comfortable as my usual wool. As the colder weather arrived the temperatures at the gym have fluctuated greatly from from room to room as well as from day to day. I think the excellent ventilation of the Tedinho shoes has helped keep my feet warm and dry in these varying temperatures. One day the locker room which is usually cool was hot and the abs room which is cool was really cold. My feet in my cotton socks and the Tedinho shoes remained warm, but my torso became chilled in my cotton T-shirt. The Tedinho shoe, which does not have a steel toe, is not a heavy duty work shoe but it does well for most jobs required to maintain a house. As a light work shoe, this shoe provides excellent traction and stability. It is especially good that it is waterproof when working outside during or after rain. 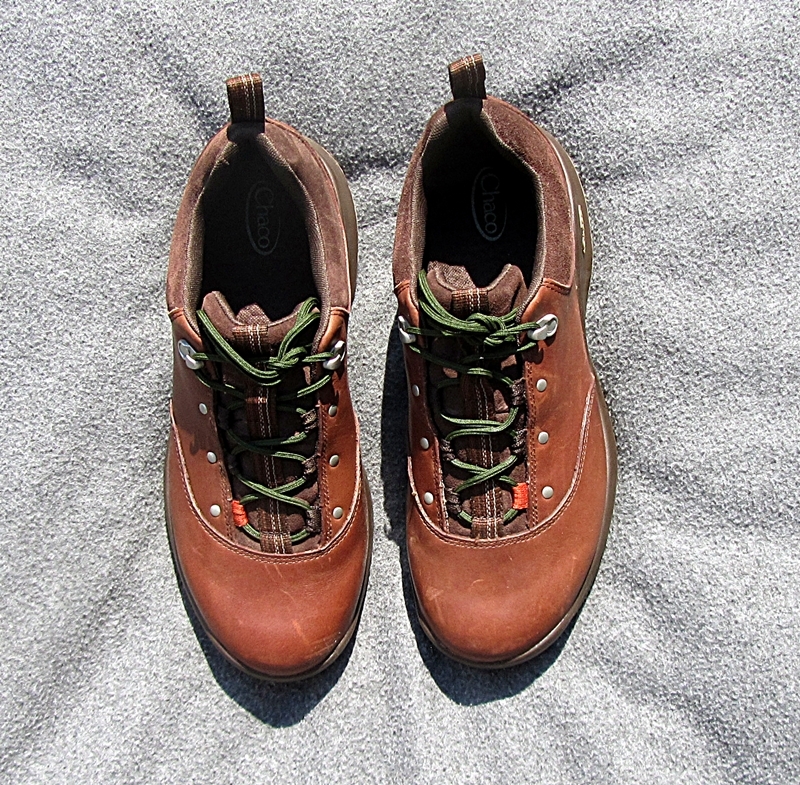 These shoes have kept out the moisture from the outside, while allowing the sweat from my feet to evaporate easily, keeping my feet dry and comfortable. I could have used these shoes in almost any place I have hiked, although there are a couple areas of rock fields in the White mountains where I would feel better in a heavier boot. Also, I would feel better in a heavier boot ascending or descending a rock slide. I always seek alternate routes to avoid rock slides but sometimes I have no choice. 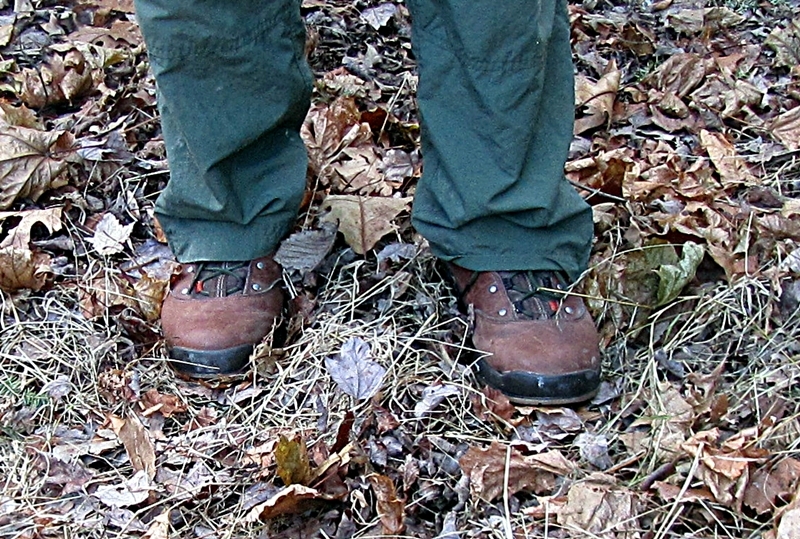 Most hikers have one pair of shoes for driving and a pair of hiking boots for for the trail. Some have winter and well as summer boots. 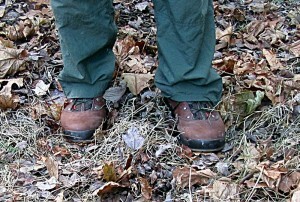 I have used these boots for a temperature range from below freezing to the mid-80’s. 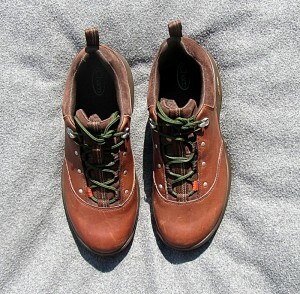 I can drive to a trail head in these shoes and be ready to hike on the trail. For the overnight backpacking trip in my last report, I had a 2-hour drive to the trail head. The Tedinho were great shoes for driving. This was especially handy when we spotted cars on that backpacking trip. 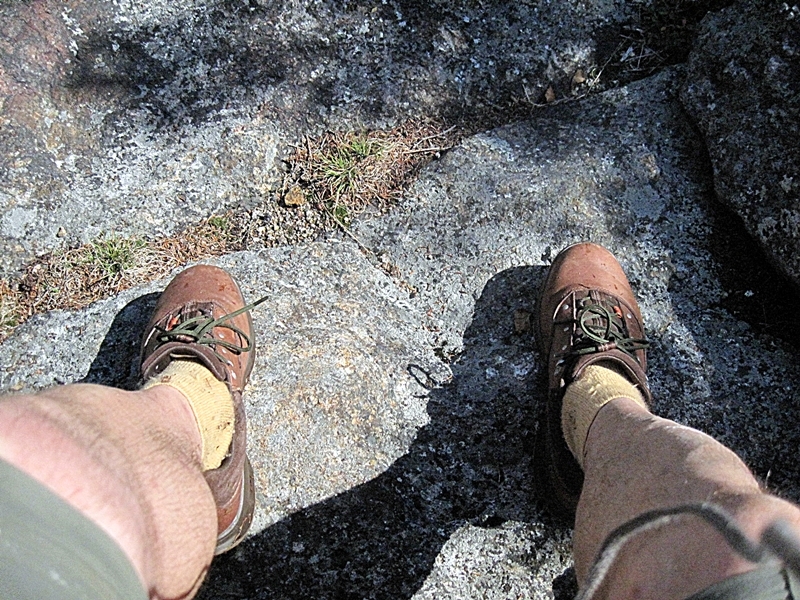 (Spotting cars refers to leaving a car at each end of the trail, eliminating the need to return to the starting point) It meant I didn’t have to change shoes and store the driving shoes and socks. When it gets really cold it is more of a problem changing socks and boots, often requiring bare hands in the cold. 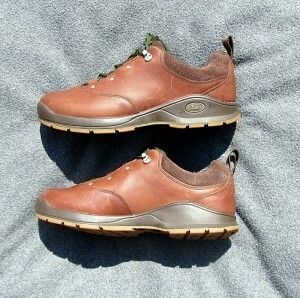 During the test period, I used the Tedinho shoes a lot and I found them to be comfortable, light, and rugged. I had no issues with workmanship. I did have some trouble with keeping the shoes tied. It could be that I don’t have the strength or dexterity anymore but it is something I can overcome. Overall, I am very content with these shoes and am looking forward to using them a lot. I wish to thank 4alloutdoors.org and Chaco for the opportunity to review the Tedinho shoes.